The blustery winter wind tries its best to penetrate through the walls of my warm puffy jacket, but to no avail. It’s Christmas Day. 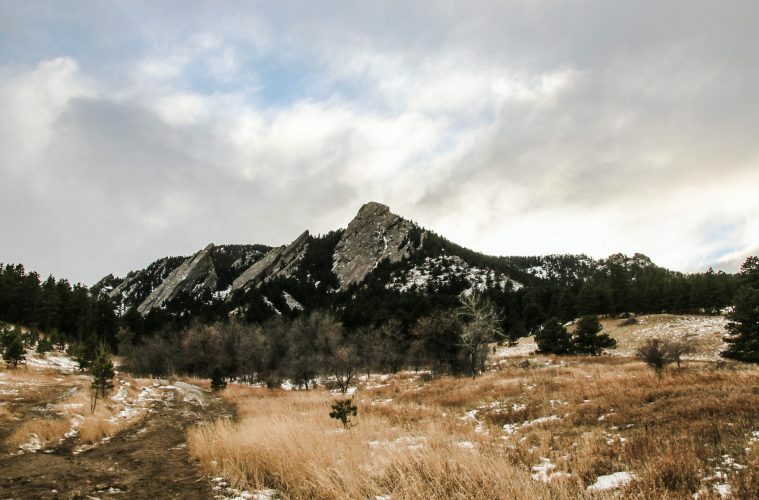 The temperature outside reads cold, but traditions are important, so I tuck the loose strands of hair under my wool beanie, lace up my hiking boots, and head west on the nearly empty trails at Boulder’s iconic Chautauqua landmark. In the distance, the regal Flatirons beckon, but the howling wind is fierce. It’s powerful gusts nip at my feet, sending them skating over the thick layer of ice on the trail. But it’s Christmas, and on Christmas, snow or shine, I wander along these trails, reflecting on the holiday season and the end of another year. The higher I climb, the harder the wind blows—until finally—I reach the welcomed cover of the trees. Stretching upward to catch the passing streaks of blue in the sky, the tree tops revel in the wind—dancing and singing and spreading holiday cheer. As I emerge from the wall of trees, the wind pauses for a moment before one final wave propels me over the last stretch of the trail—back to the beginning’s end.